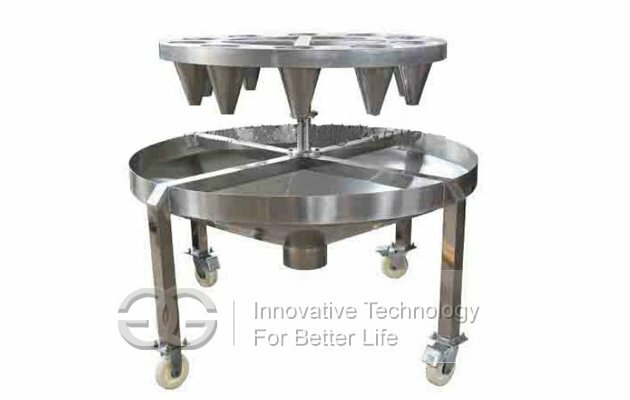 The production line is used to slaughter all kinds of poultry. 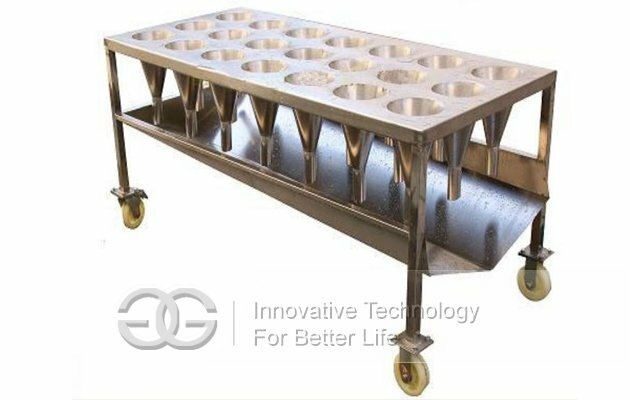 Every one of the device within the manufacturing range are created from stainless. The development series might be designed according customers'requirements. 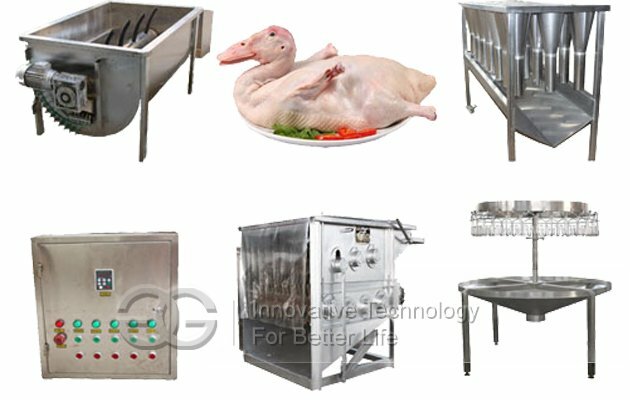 The 200-300pieces/h poultry slaughtering production line not only can process the general poultry, such as chicken, duck and goose,also can process the birds animal, such as the quail. For the semi-automatic model,there need to slaughter by manual, but the automatic model, you can slaughter the poultry when it is convey. The machine in the semi-automatic production is separated, but the machine in the automatic production line is installed in a frame, then the worker can work in the small frame. 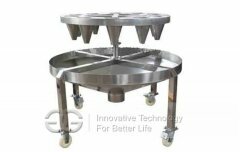 The machines all are made of stainless steel. Won't be rusted when touch the water. We also have other capacity, such as the 500pieces/h,700pieces/h,1000pieces/h, 2000pieces/h even 3000piceces/h. Of course,you can only buy some machine of the total production line. Because the production line according to your final product. 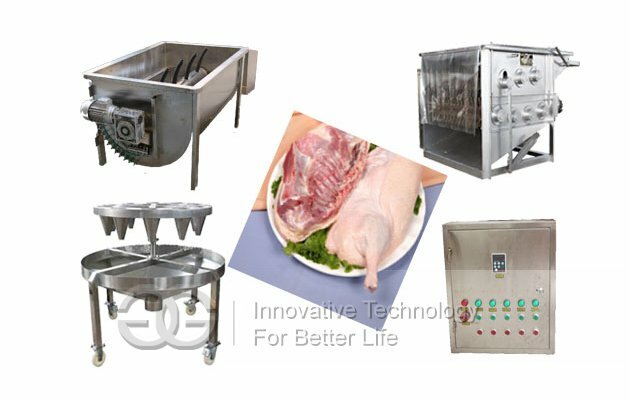 For example, some customer demand to cut the poultry head and feet, the he need the poultry cutting machine and so on. The machine all are made of 304 stainless steel. The cost is lower, but capacity isn’t very small. Both the semi-automatic and automatic production line can go on the eviscerating process. 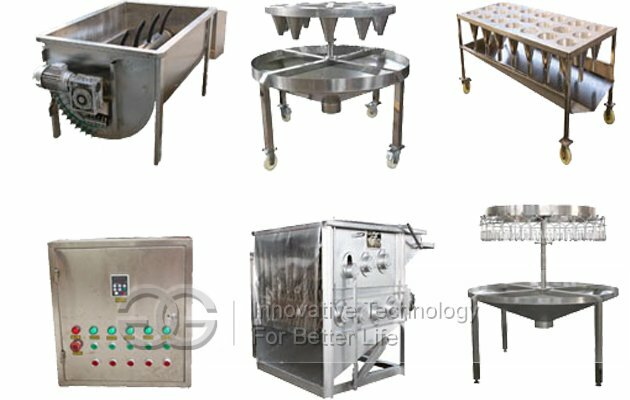 If you also need cut the heat and feet of the poultry, or will peel the paw skin, then need other machine. So need you tell me your demands about your final products. 1.Q: What is the voltage/phase for this machine? A: We normally make voltage into 220V/50HZ/Single phase or 380V/50HZ/Three Phase. But it can be made according to clients' demand, like 110V/60HZ/Three phase and so on. 2.Q: How long is the guarantee? A: We promise guarantee as half of one year for non-human damage factor. 3.Q: How should I do if meet some trouble while using? A: Don't worry about that. We are always be pleased to provide using support to clients. We can take a video for showing how to resolve the problem, and write detail resolution to you.